Those hot days are gone and we’re slowly winding our way toward September, which can only mean one thing — it’s back-to-school season! We know this time can definitely be a busy one, and between school, sports practice and helping out with homework time is definitely a bit limited. It might be tempting to let your skincare routine slide, but that little bit of “me time” is too important for both you and your skin. So instead of letting dryness an dullness take over, follow our simple skin care for busy moms routine to stay radiant through all the madness! Serums are a must-have for the fall. The air is colder and less humid, so the lightweight moisturizer you used during summer may not be enough to keep your skin hydrated come September. With particles smaller than those of creams and lotions, serums are much more effective in improving the appearance of your skin. 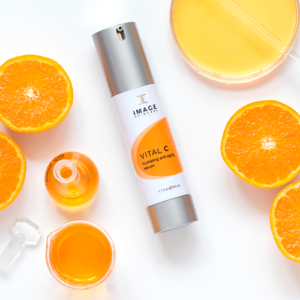 Image Skincare’s VITAL C Hydrating Anti-Aging Serum is a fan favorite and so easy to use. We included hyaluronic acid, a powerful humectant naturally present in our bodies that declines as we age. Throughout the day, our skin continually loses moisture to the environment around us. Teamed up with the emollient oils, this super molecule helps lock that moisture in by binding to water molecules. Hydrated skin means plump skin with a reduced appearance of wrinkles and other visible sings of aging. This serum is great for all skin types. Just apply to cleansed skin in the morning and in the evening. 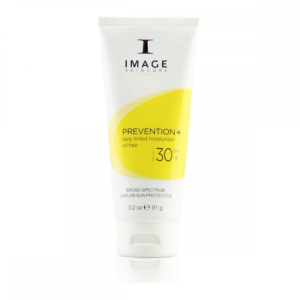 Now that summer is over, you might be tempted to skip sunscreen; after all, no visible sun means no problem, right? Unfortunately, UV rays can still access your skin even on cloudy days. 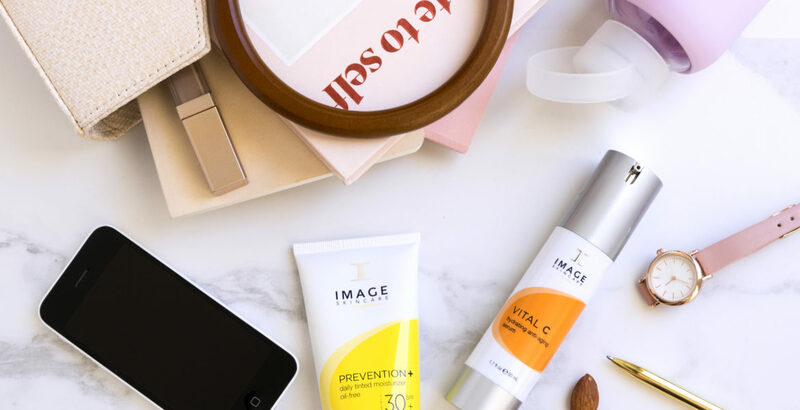 We know this adds another step to your morning routine, which is why we recommend PREVENTION+ Daily Tinted Moisturizer SPF 30+. Think of this product as your morning savior, simultaneously hydrating, evening out the appearance of skin tone and providing an SPF boost. For sun protection, we used a combination of zinc oxide and titanium dioxide, both of which are mineral sunscreens that sit on top of your skin to block both UVA and UVB rays. We also added some emollients which hydrate your skin. Even better, our formula is oil-free and perfect for all skin types. Easy to use, just apply to cleansed skin every morning as you would a daily moisturizer. Bonus tip: if you find yourself needing a little more concealing power, use a concealer for spot treatment over the tinted moisturizer. We love anything portable, and our CLEAR Cell Salicylic Clarifying Pads are definitely a favorite. Easily sweep away impurities and excess oils with our deep cleaning pads. Going to the gym and don’t have time to use a traditional cleanser? No problem, just pop these pads in your gym bag. If you have oily skin and need a midday refresher, these are perfect! Super easy to use, just take out one pad at a time and gently rub over your entire face or affected areas. The combination of salicylic and glycol acids deeply exfoliate clogged pores, leaving skin fresh and clean. We don’t know about you, but there’s something about clean skin that makes us feel invincible! You can also use these pads at home as an exfoliator. Soaking up the summer sun can leave us with dry or peeling skin, so exfoliating this fall will be definitely be important. If you do decide to use these at home, make sure to follow up with your daily moisturizer. If on-the-go, make sure to follow up with a broad-spectrum sunscreen if you’ll be going out after. Chapped lips are no fun, and it’s even worse when your trusty lip balm isn’t right by your side. Our goal is to keep those lips hydrated and plump for a naturally irresistible put. 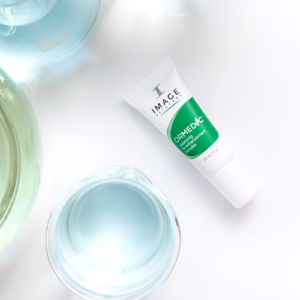 To that end, we formulated our ORMEDIC Balancing Lip Enhancement Complex, an ultra-hydrating cream specifically designed to enhance the appearance of lips by visibly diminishing fine lines. Created with nourishing avocado oil, your lips will instantly feel soothed. Have chapped or cracked lips? Just apply a dime size to your lips and the discomfort of dry lips will be soon forgotten. Bonus points for those fighting dry or chapped lips: because it’s formulated to be long-lasting, you’ll be left with continual moisturization long after that first application. Your pout will appear naturally firm and full, adding to that healthy glow.